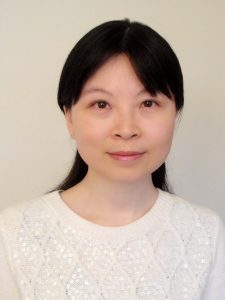 Hongxia Fu, Ph.D., is an Assistant Professor in the Division of Hematology, Department of Medicine, Institute for Stem Cell and Regenerative Medicine at the University of Washington. The Fu laboratory is applying single-molecule biophysics techniques and gene-edited human pluripotent stem cell lines to determine the effect of physical force on biological systems, to advance our understanding of physiology and disease. She was an Instructor in the Department of Pediatrics at Harvard Medical School, and trained previously as a postdoctoral fellow of the National Hemophilia Foundation in the Department of Biological Chemistry and Molecular Pharmacology at Harvard Medical School and Department of Medicine at Boston Children’s Hospital. She was previously a postdoctoral research fellow in the Department of Physics and Mechanobiology Institute at National University of Singapore, and received her doctorate from the National University of Singapore.